Senator Ali Ndume, who was suspended, has provided more insight into his suspension, saying he will not apologise to Senate President Bukola Saraki in order to get reinstated. 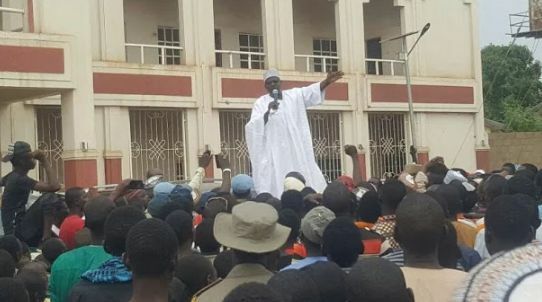 Ndume spoke on Saturday as a crowd of supporters turned out on to receive him when he visited his constituency, Borno South, for the first time since his suspension from the Senate. He was placed on a 181-day suspension by his colleagues for demanding that the upper legislative house investigate publications that accused Saraki and Dino Melaye, of improper activities. Saraki was accused of using fake Customs papers to import an official vehicle while Mr. Melaye was accused of lying that he graduated from the Ahmadu Bello University. Following Mr. Ndume’s request, the Senate conducted an investigation that cleared the lawmakers, while Mr. Ndume was subsequently punished for raising a false alarm. 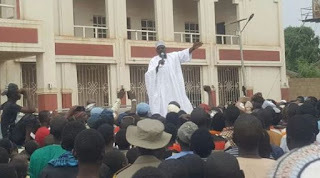 On Saturday, Ndume embarked on a visiting tour of some parts of his constituency where he was welcomed by supporters who declared support for him. The Senator, during the visit addressed his constituents at various locations where he told them that his plight at the National Assembly was because of his insistence on doing the right thing. “Your Royal Highness, distinguished ladies and gentlemen, it took us hours to squeeze through the crowd of supporters to get to this place. And this gives me the greatest joy because my people still appreciate me. “I will not remain a Senator for the rest of my life; but for the time I serve as the representative of my people, I shall continue to do and tell the truth. I know if I had erred, I would not have been received here. But I enjoy the support of my people because they know my suspension was because I spoke the truth. “I know those that suspended me are going now regretting their actions because of the massive protest that trailed my illegal suspension. 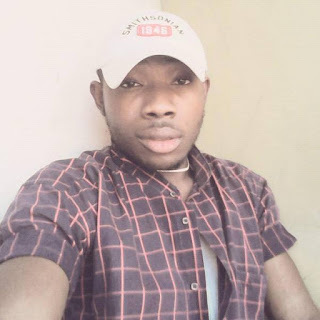 After seeing the support that I enjoy from Nigerians, the same people that suspended me came to say I should tender an apology so that my suspension could be lifted. But I said no to that because I did not commit any offence in the first place. “They later came to say the Senate President, Senator Melaye and I should go and reconcile our difference; and I told them that I had no issue with either of them, so there is nothing to reconcile – as far as I am concerned we have a good working relationship. “My religion enjoins me to always stand on the path of truth even if I turn around and found that everyone has deserted me. “Firstly, I know my trouble with them started because of my support for the policies and ideals of President Muhammadu Buhari. Secondly, when Ibrahim Magu’s name was brought to the Senate as nominee for the Chairmanship of EFCC, some group in the senate insisted that he would not be cleared. And in my position as the then Senate Majority leader, it was incumbent upon me to support any nominee sent in by the Executive. Besides that, the same nominee is from my state, Borno; besides, he [Magu] had committed no offence to be denied the senate clearance. “Above all, the majority of Nigerians loved him because he is doing the job well even as an acting chairman of EFCC.